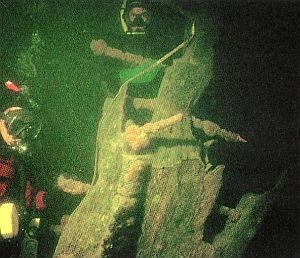 More than three hundred historic shipwrecks lie at the bottom of Lake Champlain. Beginning July 27th VPR will look at what sent five of them to their fates in the special series History Under the Waves. Each day during All Things Considered, a member of the Lake Champlain Maritime Museum will describe the events that led to the sinking of a Revolutionary War gunboat, a lake schooner, steamboats, and a sailing canal boat. We’ll learn their fates, hear how they appear today and how they provide a window into the history of Lake Champlain’s past.